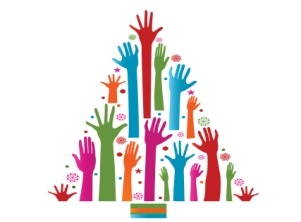 Adopt-A-Family is CFUW Sudbury’s Community Outreach Program. Through the generous support of our Membership as well as our Community Partners, Sudbury families in need are provided with gifts, clothing, food and toiletries at Christmas. The families chosen through the Sudbury Elementary School Boards, Cambrian College, Laurentian University and All Saints Church, do not receive help from any other agencies in the community. .
​We are both proud and humbled to be part of this Adopt-A-Family Program. Please Note: We cannot accept families through the CFUW Sudbury website. Please contact your child's principal to see if their school is part of the Adopt-A-Family program. ​ THANK YOU! THANK YOU! THANK YOU! Thanks once again to the generous support of the CFUW-Sudbury Membership and our Community Partners, the 2018 Adopt-A-Family Program raised over $12,000! We also had many generous Community Partners who donated and/or shopped for individual school families. Due to this overwhelming support we were able to assist 31 families and 104 children in the Greater Sudbury area, giving them the opportunity to experience the joy of Christmas. Families were provided with food vouchers, gifts, clothing, books and much-needed toiletries thanks to your generosity. We would like to thank those CFUW members who donated books, toys, Canadian Tire Money, and Bay Used Book Vouchers. The success of our program depends not only on our members support but also on the support of our Community Partners. These Community partners have enabled us to increase the number of families that we serve. Our program continues to grow slowly, steadily and quietly. Thanks also go to six Individuals who each donated/shopped for one family. Looking forward to the 2019 Adopt-A-Family Community Outreach Program. Thanks to our CFUW Sudbury membership and our community partners listed below, we have sorted, collected and distributed over 1800 medium Ziploc bags to the four Sudbury Elementary School Boards. They are most grateful for this support. Some schools distribute the bags to individual students/groups of students where there is a need, one school has placed them in their food bank and others leave them in the main office for those to take as needed. One thing we know for certain is that they are needed! We will continue to collect these toiletries in 2019...and for as long as they are needed. Thank you once again for supporting this program. (shampoo, conditioner, soaps, cream, toothpaste, toothbrushes, etc.) ...those items you may collect on your travel trips or trips to the dentist! CFUW Sudbury members can bring them to the monthly meetings or to their interest group facilitator. Our Community Partners also have containers for collecting. Any community group or business who would like to collect these toiletries may contact us through cfuwsudbury@gmail.com. We would be happy to provide you with a bin and take care of the collecting, sorting and distributing of these toiletries to the four local school boards. Congratulations to the Adopt-A-Family committee for having your efforts recognized by CFUW Ontario Council! Click here to view the certificate.